If you are encountering issues while opening a local SWF or a SWF hosted on a web server, make sure the Flash Player security settings are set accordingly. Below are the instructions on how to change the Flash Player security settings. Note: This information is from the White Paper “Xcelsius 2008 General Best Practices” written by Matt Lloyd. If you export to Microsoft PowerPoint, Microsoft Word, HTML, or to your desktop to run the SWF, you may find the SWF does not work if you try to retrieve data or try to navigate to a Web page because of the Adobe Flash security restrictions. To run this SWF on your desktop, you need to make it trusted, so it can access Web sites or local data. Note: You can make a SWF trusted using the Global Settings Manager (if you have Internet access) or with a FlashPlayerTrust configuration file. Click Advanced… (opens in a new window). Select Global Security Settings Panel (in the Table of Contents). Add this SWF as trusted location. Close the browser and reload the SWF. If you host your SWF on a Web server, make sure that any Web server you need to connect to for live data has a cross-domain policy file in the Web server root (the location of the root folder differs for each Web server). If you do not, then you may not be able to connect to the Web server to get data when you run the SWF hosted on your Web server. The cross-domain policy file controls which SWFs running in which domains can access your Web server. The below code presents an example of a cross-domain policy file that lets any SWF running on any domain access your Web server. This file needs to be placed on the root of your Web server. In this post David Lai, a BI Consultant and the author of davidlai101.com explains how to generate Web Services using Flynet Web Service Generator and use the Web Services to build live Xcelsius Dashboards. For those who are using Xcelsius but without Business Objects Enterprise, you will either have to grab data from the database using XML mapping or Webservices. XML mapping not very flexible in terms of generating complicated queries so most people will go to the webservice route. The only draw back with generating your own webservices is the time it takes to code or cost to hire a developer to build the web services. One way to generate webservices quickly is to use the Flynet Web Service Generator. Its quite easy to install and setup as long as you follow the instructions which are included with the installation. Flynet works simplest with IIS but for those using apache like me, you will need to follow the Apache Web Server instructions which is included in the Flynet help file. The tutorial shows how to create a web service from simple queries, HOWEVER if you want to create queries that involve Aggregates, Case Statements, and Procedures, the code will be a little bit more complicated. The manual and tutorial doesn’t really teach you how to do these things so the first thing you might think is that it is not possible and just stop using it. Case Statements are similar to the Count statements where the case section is enclosed in the brackets. Procedures need to have the text EXEC at the start of the Query SQL statement followed by the name of the Stored procedure. 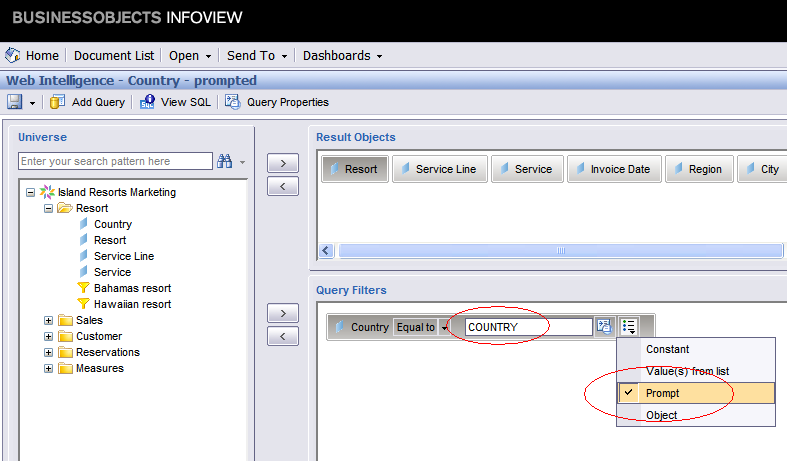 Finally you can connect the webservice to your Xcelsius Dashboard but before you do so you should be careful of values that get returned that are of type DATE. Apparently a T gets inserted into the date row and Excel will think that the field is a text field, thus any date functions on the date cells will screw up. Posted in: Articles, Introduction, Utility, Xcelsius 2008. What a night it was for America. Barack Obama is the President Elect. Coincidentally I was in Chicago Downtown on the night of the results. Although I had no tickets to attend the Winning speech from Obama, I can listen to the roar of the crowd coming out of Grant Park. The downtown was lit up with USA on all the Buildings. It was a spectacular sight to watch. Barack Obama has come a long way in his Journey to the White House. Here is a google maps version of the same. The data is coming from MIBAZAAR (www.mibazaar.com/barackobama.xml). Thanks to Virender Ajmani for creating such a wonderful Gadget. Click on Autoplay or the Left Right arrows to navigate.